* NOTE: BYU Invite allows only 25 entries per gender. Top qualifying marks on the team will go. The standard entries available for an Invitational are 5 athletes for Distance & Throws, 4 for Sprints, Hurdles & Jumps, and 1 Relay Team. ​6 Entries are available at the Region Championships. If an athlete is not selected to compete in the Invites they will be able to compete at the JV Meets. ​6 Entries are available at the Region Championships. 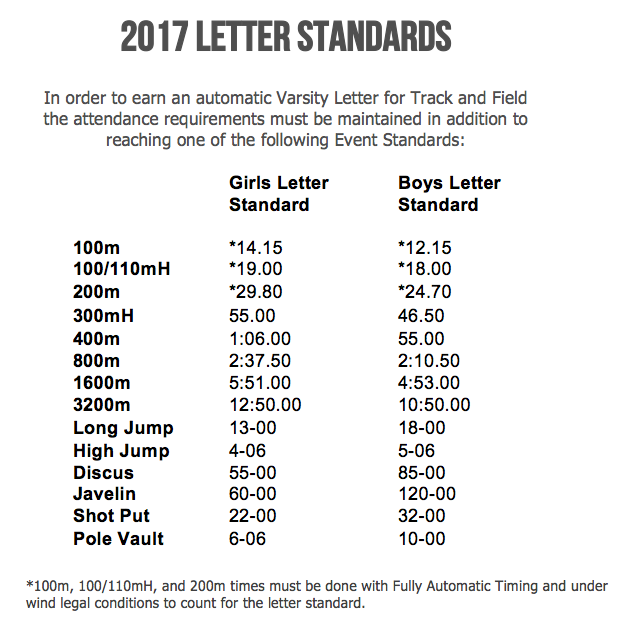 If an athlete is not selected to compete in the Invites, they will be able to compete at the JV Meets.